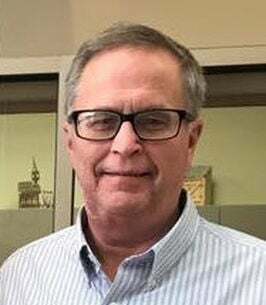 Stephen Paul Stumm, age 63, passed away at his home on Wednesday, April 10, 2019 in Bloomer, WI after a courageous battle with cancer. He was born June 29th, 1955 in Chippewa Falls to Frederick and Marie (Seibel) Stumm. He married Cheryl Ann Henchen on September 5th, 1987 in Bloomer. They were blessed with two children; Samantha Marie in 1992 and Bradley Thomas in 1994. Steve worked as director of environmental services at Hetzel Care Center (Atrium). In the spring and summer you could find him tending to his garden; using what he grew to make salsa, spaghetti sauce and many other tasty items. He enjoyed fishing on a nice day with anyone who would go. He also loved to hunt and do a lot of cooking and baking. His pies and fudge were famous among his family and friends. Spending time with his family was important to him and the cherished memories they made together will last a lifetime. His times of bursting into song, telling everyone to “use your head”, well-timed one-liners, tasty treats, patience and love for teaching people something new will always be remembered and treasured. He is survived by his wife: Cheryl of Bloomer; children: Samantha Jandourek of Bloomer and Bradley Stumm of Bloomer; and son-in-law Matthew (Bear) Jandourek of Bloomer; brother: Thomas (Vik) Stumm of Eau Claire; sisters: Patricia (Steve) Wagner of Marshfield, Jana Cuva of Omaha NB and Julie (Johh) Folstad of Eau Claire. He is also survived by several nieces and nephews. He was preceded in death by his parents: Frederick and Marie Stumm.